A NASA crew investigates how changing conditions in the Arctic affect the ocean’s chemistry and fish ecosystems. (Image Credit: Kathryn Hansen/NASA). North of Alaska and the Yukon Territory lies the Beaufort Sea, a remote body of water that serves as a key migratory corridor for vulnerable Arctic species, including polar bears and beluga whales. These migration patterns, nutrient rich waters, and a network of sea ice inlets create ideal conditions for a number of unique species, making the region a biodiversity hot spot. In recent years, the Beaufort Sea has emerged as an area of significant interest for oil and gas operations due to the area’s rapidly melting polar ice, which has opened up large swaths of previously inaccessible ocean areas to large ships. In addition, the area and its 71 species of fish have attracted global attention as a potentially lucrative area for commercial fishing. In anticipation of the commercial fishing boom that could occur if the trend of sea ice loss continues, former U.S. Secretary of Commerce Gary Locke announced a moratorium on commercial fishing in the Beaufort Sea in 2009. The decision aimed to establish a precautionary approach in the region, which has had no previous exposure to commercial fishing in modern history. Interest in the region has increased over the past decade, and scientists have uncovered a wealth of knowledge about Arctic fisheries that could inform a potential fishery management plan between Canada and the United States. In 2008, the first expedition of the Alaska Fisheries Science Center produced a report that provided initial recommendations for future fisheries monitoring. In 2010, NASA conducted a research project called the Impacts of Climate on the Ecosystems of The Arctic Pacific Environment (ICESCAPE) that analyzed the impact of Arctic ice cover on organisms ranging from sea algae to polar bears. Other studies have shown that fish species, such as Arctic cod, have begun migrating farther north due to rising ocean temperatures. (Left) A map of the Arctic Management Area in the Beaufort Sea. 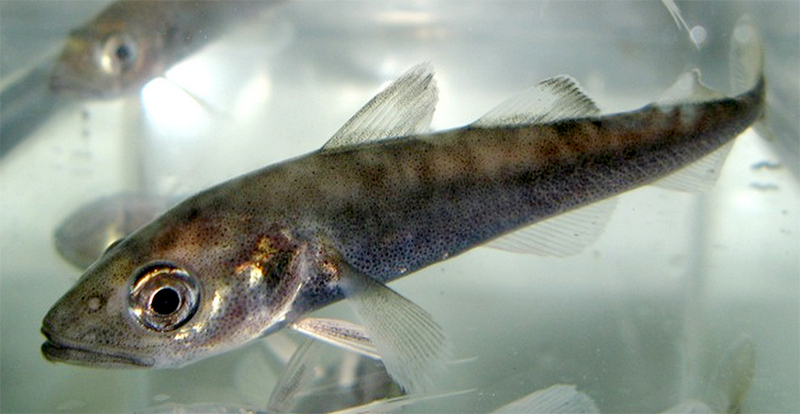 (Right) Arctic cod (Boreogadus saida) have begun migrating further north due to rising ocean temperatures. (Image Credits: left, Wikimedia Commons; right, Brian Hester). These and future expeditions provide an opportunity for Canada and the United States to study the interplay of sea ice loss, ocean acidification, and species shifts on the relatively pristine Beaufort Sea ecosystem and have jumpstarted discussions about establishing baseline monitoring programs in the region. In September 2016, the Obama Administration convened the first-ever Arctic Science Ministerial to advance international research efforts in the Beaufort Sea. During the meeting, the administration approved a plan for Canada, China, Korea, Japan, and the United States to work through the Pacific Arctic Group of the International Science Committee (IASC) to support a biological survey to detect biophysical changes in the Beaufort Sea. Findings from these efforts will help to foster the growth of sustainable human uses in the region while safeguarding the health of this unique ecosystem. In the coming years, stakeholders will need to collaborate with policymakers, fisheries experts, and scientists to establish fisheries science programs in the Beaufort Sea and develop plans to protect and manage this shared region.